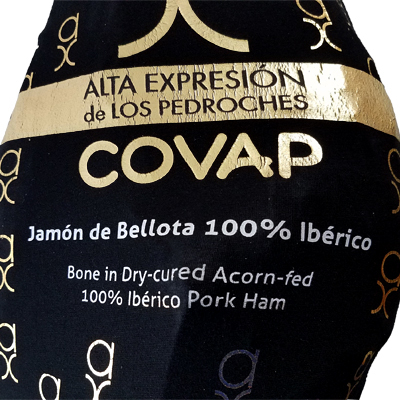 The Iberico Ham de Bellota Dehesa Cordobesa Alta Expresión (Covap) is made following a craft tradition maintained for more than 40 years in Sierra Morena, in Los Pedroches Valley. 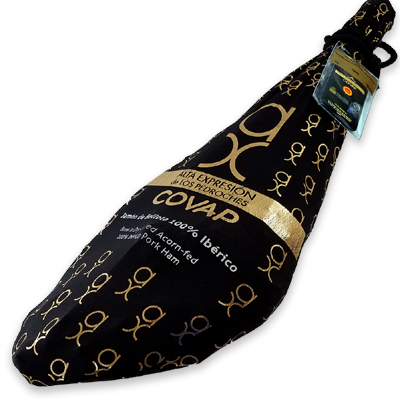 Covap, the firm devoted to extensive breeding of the Iberian pig in this valley that has one of the best grasslands of Spain, unrivaled source of the best Iberian pigs, provides the best raw material, the guaranty of its origin and control of the final product quality, performing all transformation processes in their own dryers. 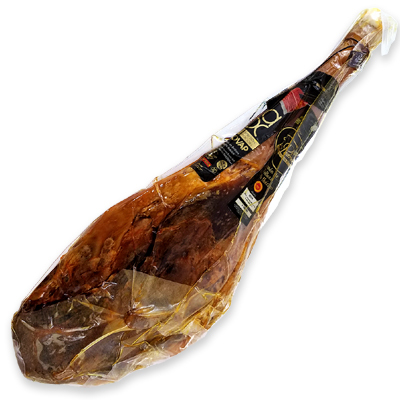 The Iberico Ham de Bellota Dehesa Cordobesa Alta Expresión (Covap) is an exquisite product made from the hind limbs of Iberian pigs reared on the open range with acorns and wild herbs, and sets itself apart from the rest of Spanish hams for its unique texture, slightly salty taste and intense, enjoyable, nuanced flavor. 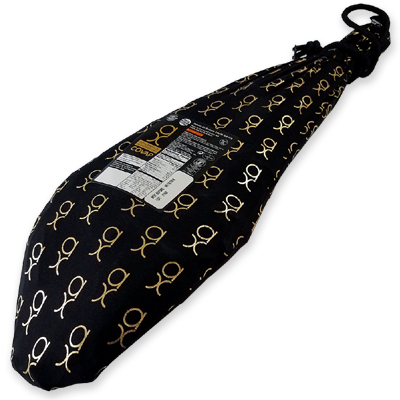 Now within your reach at ham-cheese-wine.com. 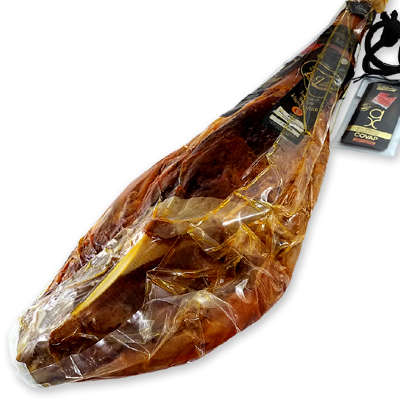 The meat of Iberico Ham de Bellota Dehesa Cordobesa Alta Expresión has a delicate, slightly salty flavor and pleasant aroma which makes it one of the best Spanish Iberian hams. The taste varies depending on how much acorn was the pig fed, and the amount of exercise done during the open range grazing time. 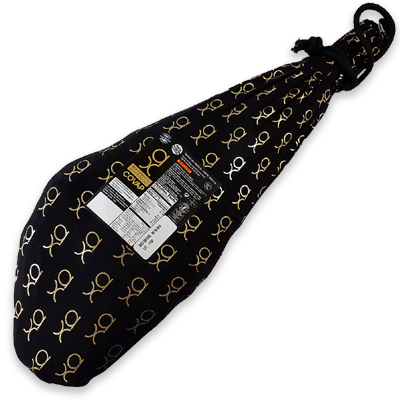 The Iberico Ham de Bellota Dehesa Cordobesa is one of the best known hams in the world thanks to its excellent quality and to be protected by the designation of origin Los Pedroches Valley. 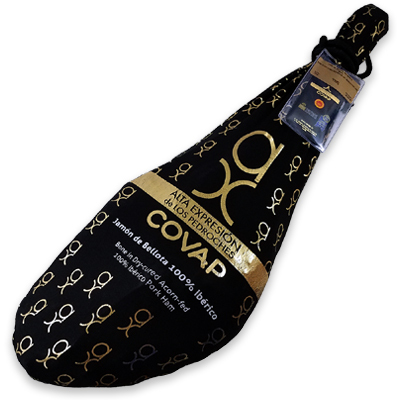 The Iberico Ham de Bellota Dehesa Cordobesa Alta Expresión (Covap) is a handmade product with a quality to delight the most discerning gourmet. 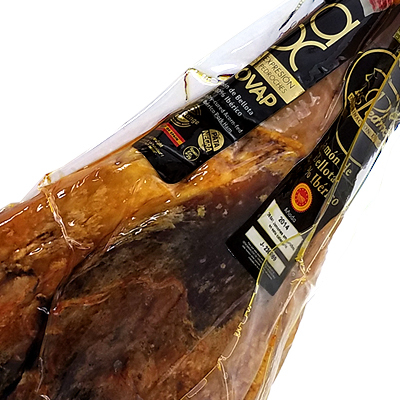 The texture of this Spanish COVAP Iberian ham is slightly fibrous, its fat is bright, pinkish-white or yellow extending this coloration from pink to red and purple when cut, with fat infiltration in the muscle mass. 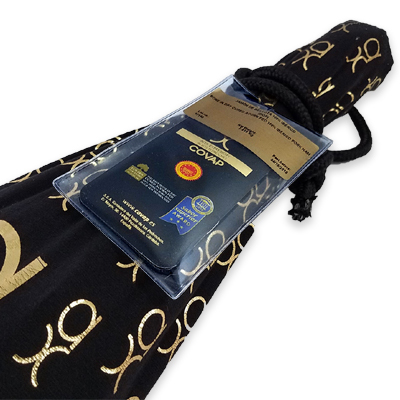 Taste varies due to the chemical modifications resulting from the salt concentration during the curing period.